Back pain is the second most common reason why patients visit doctors. Herniated discs are one of the most common causes of low back pain. Approximately 300,000 patients undergo surgical microdiscectomy every year to relieve symptoms related to herniated lumbar discs. Fifteen percent of these 300,000 patients have a contained herniated disc and fail conservative therapy, making them candidates for HydroDiscectomy. 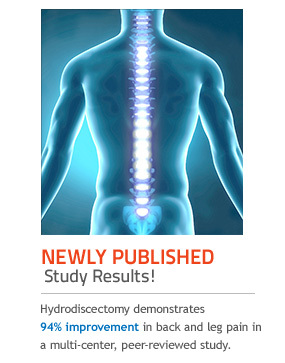 HydroDiscectomy provides a safe and proven minimally invasive option for these patients. Explore the benefits of SpineJet HydroDiscectomy and learn how you can expand your practice and gain a competitive advantage in the marketplace with this new technology! 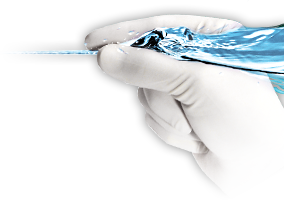 Contact HydroCision today for more information about training, ordering, and how to get added to the physician locator.